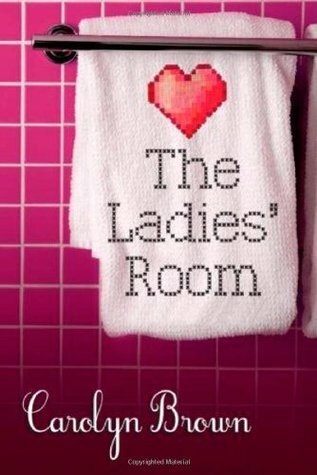 Secrets told in the church ladies' room are supposed to stay in the ladies' room. But that doesn't mean that what Trudy overhears there during her great-aunt Gertrude's funeral won't change the rest of her life. Trudy has a daughter in the middle of a major rebellion, a two-timing husband who has been cheating for their entire married life, and a mother with Alzheimer's residing in the local nursing home. She doesn't really need a crumbling old house about to fall into nothing but a pile of memories and broken knickknacks. What is heard in the ladies' room stays in the ladies room. What a lovely and original story; literally every cloud in this book has a silver lining making it a wonderfully relaxing read. The idea of a "divorced women's (or wife of a cheating husband) scholarship" was a really nice touch. This is a story about family, relationships and individual strengths with a hint of romance. It is an extremely well written book where the text literally flows with some interesting characters. I loved the character development; how each women had a backstory and whilst a product of both their environment and own mistakes, how they each came into their own. I had to admire Trudy's courage, with luck on her side she went from strength to strength after dumping her cheating husband. Also as the story progressed so grew my respect for Aunt Gert. Life isn't about making the right choices and worrying about what other people think. Admittedly this story is sweet and very sugar coated but charming too with plenty of surprises. Recommended for a relaxing read which is sure to make you smile and currently available from the kindle lending library.